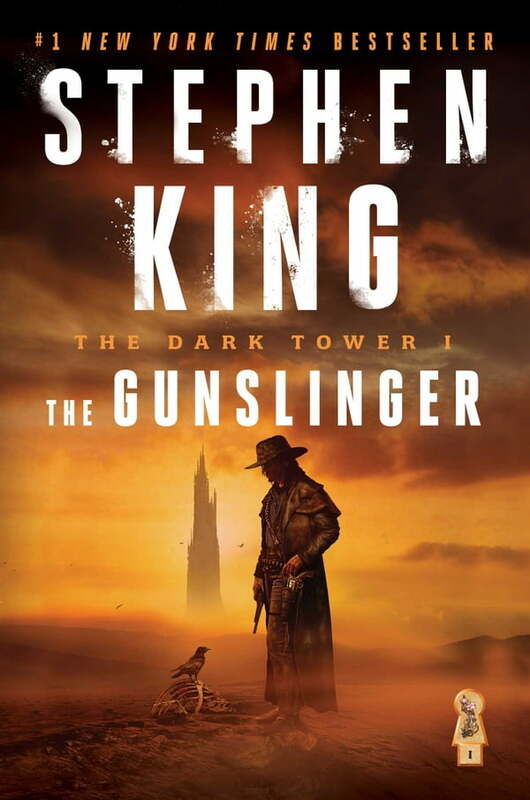 “An impressive work of mythic magnitude that may turn out to be Stephen King’s greatest literary achievement” (The Atlanta Journal-Constitution), The Gunslinger is the first volume in the epic Dark Tower Series. A #1 national bestseller, The Gunslinger introduces readers to one of Stephen King’s most powerful creations, Roland of Gilead: The Last Gunslinger. He is a haunting figure, a loner on a spellbinding journey into good and evil. In his desolate world, which mirrors our own in frightening ways, Roland tracks The Man in Black, encounters an enticing woman named Alice, and begins a friendship with the boy from New York named Jake. Inspired in part by the Robert Browning narrative poem, “Childe Roland to the Dark Tower Came,” The Gunslinger is “a compelling whirlpool of a story that draws one irretrievable to its center” (Milwaukee Sentinel). It is “brilliant and fresh…and will leave you panting for more” (Booklist).